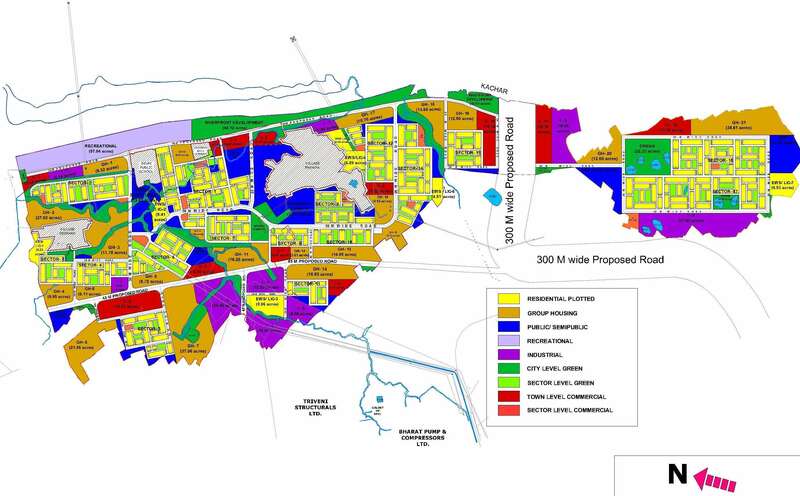 Layout plan as per the Hi-tech Township Policy of U.P. 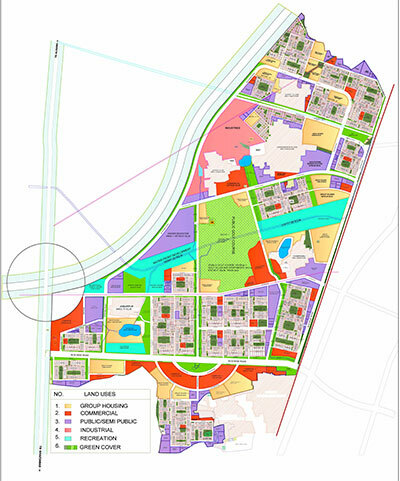 Client: Uppal Chadha Hi-Tech Developers Pvt. Ltd.
DPR included land acquisition strategy, planning infrastructure and services (roads, water supply, sewers, electrification and telecommunication), solid waste management, financial statistics, projects maintenance, etc. Detailed engineering analysis & design and develop design reports. Conducting Design review with client. Prepare detailed specification of materials. Preparing Bill of Quantity and Cost Estimates. Preparing design/documents for statutory approval of all services. Review and approval of vendor documents for various systems. Inclusion of FTTH and IGL services in the service corridor. Client: Ansal Properties & Infrastructure Ltd. 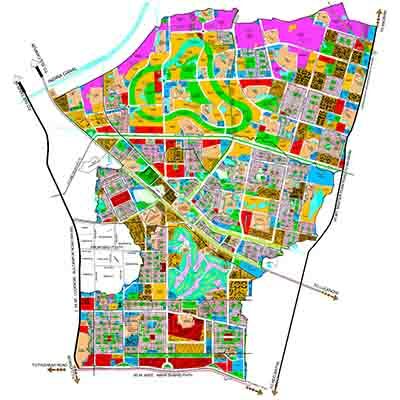 Detailed design for master plan, layout plan, water supply & irrigation network, sewerage disposal & storm water disposal network, traffic flow pattern, etc. Client: Pancham Realcon Pvt. Ltd.
Project involved preparation of Master Plan, DPR, designing of all services including estimates, BOQ, rate analysis, tender documents, designing of electrical distribution, etc. 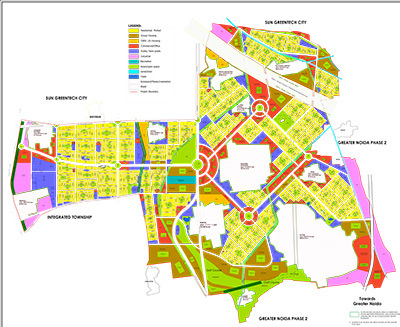 There is effort to impart state-of-the-art office complexes, special entertainment zones, educational institutes, health club, supermarkets, hospitals and everything that one can get in a metropolitan with revitalizing greens. This Township has specialty of water body at the front side.